SESAME will serve as a coordinated R&D programme for nuclear thermal-hydraulics reactor safety, supporting both future reactors and the continued safe operation of existing nuclear plants, which provide one third of the EU’s electricity and two thirds of its low-carbon energy today. 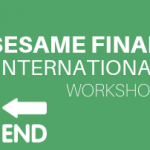 SESAME will maintain and develop the necessary supporting research infrastructures, such as experimental facilities and numerical tools. In particular, it will collect and use available liquid metal laboratories and facilities in Europe, such as the existing facilities from KALLA, KASOLA, CIRCE, TALL, NACIE, and the Phenix sodium fast reactor. In addition, new facilities will be built within the project. In the short term, SESAME will improve the thermal hydraulics knowledge base for liquid metal fast reactors and for contemporary light water reactors. 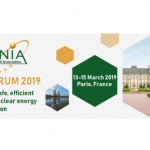 This basis will support European reactor designers and regulatory bodies and technical support organisations, and allow the EU and its member states develop strong policies with respect to nuclear reactor safety. The new experimental data and the advanced simulation approaches to be developed within SESAME will also further support interactions with stakeholders at large and the civil society on nuclear reactor safety. In the medium term, the project will improve the safety of liquid metal fast reactors and contemporary light water reactors in Europe, and in a second step globally, by making available new safety related experimental results and improved numerical approaches. They will allow system designers to improve the equipment safety of their reactors, leading to an enhanced safety culture. 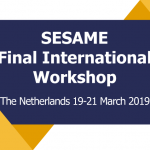 SESAME has received funding from the European Commission Euratom Research and Training Programme on Nuclear Energy under grant agreement N° 654935.